hello, first-time poster here. I was wondering what you guys thought of these two saws? which do you think is better, more reliable and just an overall better value for the money? I can get the delta 36-725 for about 571 with a coupon, and the grizzly G0771Z is on sale for 859.00 shipped. thanks in advance for the responses. Grizzly makes a solid mid-grade product just short of buying professional equipment in my opinion. I feel Delta has started taking shortcuts the last few years and some of their products have really disappointed me. I am not sure about their saw though. 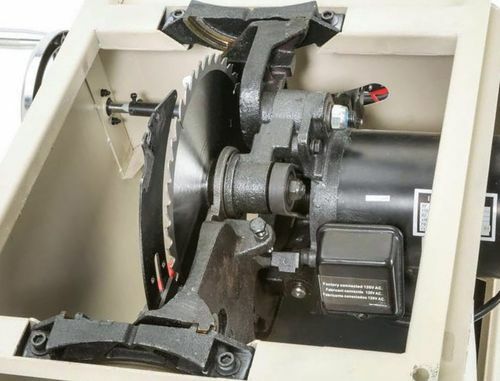 I recommend looking at the Rigid hybrid saw as well. 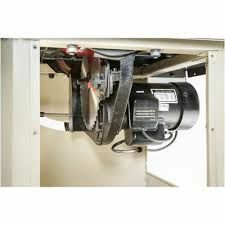 Runs about the same price as the Delta and the only drawback is the assembly, which I can help you with. I love mine. Everyone is going to sell you on what they have and malign the other company. That Delta is aimed at contractors but a lot guys here have one and like it. Grizzly is cheaply made with minimal quality control but a lot of people like them too and they can afford good customer service. If that Grizzly doesn’t have the same alignment problem that plagues Ridgid and Craftsman then I would choose it given only those two choices. I’d go with the G0771Z over the Delta for just about every aspect you can compare, except for the built in mobility of the Delta. It’s more money, but I think it’s money well spent. 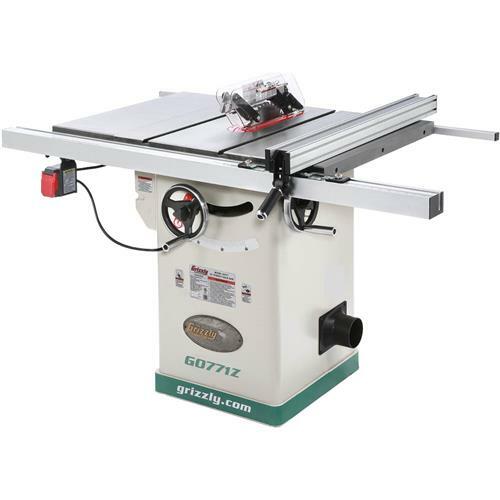 The G0771Z offers a full enclosure, solid cast wings, stronger motor, better customer service, sturdier cast iron construction under the hood, more mass, a decent fence, and cabinet mounted trunnions. Thanks for the replies, does anyone know if the grizzly has any alignment issues? 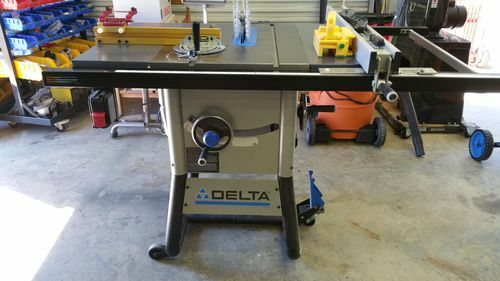 I have the Delta and it has provided me with a lot of bang for the buck and woodworking enjoyment. I don’t have any hands-on experience with Grizzly but if I could have economically gotten one here in Alaska, I may well have done so. In addition to the pros that knotscott outlined, the Grizzly fence looks to be stouter and dust collection is a solidly mounted 4” fitting vs the tilting 2½” fitting on the Delta. I use an adapter but since the Delta’s DC fitting is part of a blade shroud that tilts with the blade, the larger fitting/hose puts more weight on it than was intended. I support the hose with a small stand. I haven’t yet found a third party throat plate for the Delta, so you’d have to buy from Delta or make your own, which isn’t a quickie project. Grizzly’s isn’t either from what I can tell, but it looks like Leecraft makes one for that saw…which also fits the Ridgid. I wouldn’t fret much about the Delta’s built-in mobility. A mobile base for the Grizzly isn’t that much extra and while it doesn’t offer foot-operated convenience it’ll get the job done. To restate a couple of knotscott’s points: I sure would’ve liked cast extensions and cabinet mounted trunnions. Fortunately, I’ve never had to adjust mine. There were some alignment issues with some of the earlier G0715P’s, R4512 and Cman 21833… all shared a similar trunnion design. 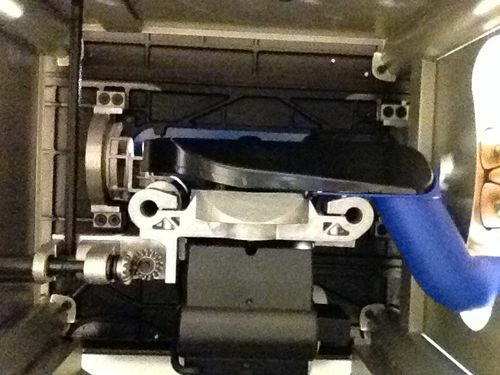 The G0771Z is a different animal, and has cabinet mounted trunnions. The fence on the first offering of the G0771 got a few less than stellar reports, but haven’t heard of any systemic issues so far with the G0771Z. I do not have the G0771, but with cabinet mounted trunions alignment should not be an issue. All you do to align is loosen the table and tap. My Griz is a G0732 Contractor which they do not sell anymore. Got it used but havent regretted anything about it. 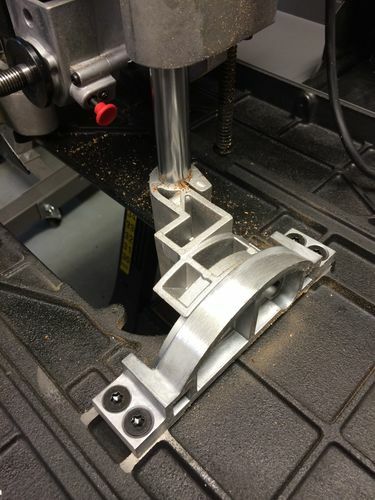 How does the place of mounting trunnions relate to the alignment ?